Which streaming TV bundle is the best deal for cord-cutters? Our head-to-head reviews hash it out. It’s great what a little competition will do. Ever since cord cutting became a genuine trend, TV networks and pay TV providers have scrambled to bring their channel bundles to the internet. But with more competition comes more confusion. 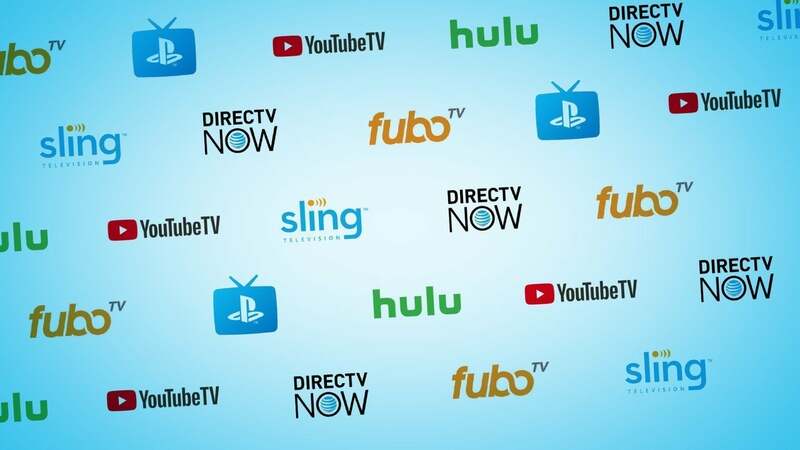 Between Sling TV, PlayStation Vue, DirecTV Now, Hulu with Live TV, YouTube TV, FuboTV, and Philo, prospective cord-cutters who still want a bundle of traditional TV channels have a lot to consider before making the leap. And while these services tend to be cheaper and more flexible than cable, each comes with its own quirks and caveats. We created this guide to make your decision easier. It compares the features of all the current TV streaming bundles, lists which devices each one supports, provides a full side-by-side channel list, and provides our bottom-line recommendations. It also shares the latest TV streaming news, and links to our in-depth reviews, where you can learn more about how each bundle works. Updated February 19, 2019 to add our review of Spectrum TV Choice, the cable giant's effort to retain customers who have decided to cut the cord. While we did find the service to be somewhat less expensive than traditional cable TV, Spectrum TV Choice doesn't deliver the true a la carte service that cord-cutters are really looking for, due to limited channel availability, no cloud-based DVR, and mediocre video quality. You can read the full review here. YouTube TV still isn’t available in every single market in North America, but it’s accessible to the vast majority of U.S. residents. Between that expansion and its new availability on on the Roku and Apple TV platforms, it has become the best overall services for cord-cutters. Hulu's live TV service still has a few drawbacks, but the value is hard to beat. On the surface, Hulu with Live TV doesn’t seem much different from other streaming TV bundles. You get dozens of live channels for $40 per month, but what sets it apart is the inclusion of Hulu’s on-demand service (normally $8 per month), which includes a large catalog of network shows, plus originals such as The Handmaid’s Tale and Castle Rock. Hulu’s interface can be busy, but it ties everything together in a way that encourages discovery, and the service is extendable with more DVR storage and additional simultaneous streams—if you’re willing to pay. Sony's TV streaming bundle has all the features and channels you might want, but it's hardly the cheapest or most interesting option. Despite a recent $5-per-month price hike for all plans, PlayStation Vue offers the most complete selection of sports channels, including national sports, regional sports, and league-specific networks (NFL Network/Redzone, MLB Network, and NBA TV). And while DirecTV Now comes close, it's DVR service is much stingier, with a 20-hour recording limit. PlayStation Vue also supports a wide range of streaming devices beyond PlayStation consoles, despite what the name suggests. One caveat: Visit Sony's website to make sure all your local broadcast networks are available; otherwise, you'll need an antenna for backup. Sling TV offers a less-expensive starting point than most other streaming bundles, with Orange and Blue plans priced at $25 per month each. (The former includes ESPN and other Disney-owned channels, while the latter includes channels owned by Fox and NBC.) From there, you can add several channel packs and still come out ahead of other bundles, especially if you're using an antenna for local channels. Still, DVR service is $5-per-month extra, and while you can combine the Orange and Blue packages for a total $40 per month, at that point you're not really saving over other bundles, which offer slicker interfaces. DirecTV Now has improved considerably in recent months, and the service has finally added cloud DVR, although AT&T allows you to record only 20 hours of video which is stored for a maximum of 30 days. It’s also the only bundle that faithfully reproduces 60-frames-per-second video on every applicable broadcast. And if you’re looking to score a free media streaming-device, DirecTV Now offers new subscribers their choice of an Apple TV or a Roku Stick (these are limited-time offers)..
FuboTV is a $45-per-month sports-centric bundle that doesn’t include ESPN channels. Strange as that sounds, it does free up room for other channels, such as Fox Soccer Plus and Eleven Sports, at a much lower cost than with other bundles. Philo is the only streaming bundle that has no sports channels. As such, it only costs $16 per month, with channels from AMC, Viacom, Discovery, and A&E. Philo is a fine supplement if you can get prime-time shows and sports from an antenna. AT&T WatchTV is a $15-per-month service that offers a grab bag of cable channels, most of them lacking sports. AT&T wireless subscribers with an "&More" unlimited data plan can get the service for free. It could help fill in some holes left by other streaming bundles. Ready to dig deeper? Below you’ll find even more information to help make your decision. To see which specific TV Everywhere apps each service reports, check out the support pages for Sling TV, PlayStation Vue, DirecTV Now, Hulu with Live TV, and FuboTV (along with this Reddit page for YouTube TV). Finally, here’s a chart showing all the channels you can get through TV streaming bundles, and the minimum price you’ll need to pay to get each one. If you see a “+” sign, that means the price is in addition to the cost of a base package. It’s a large chart that you can click to enlarge. We've also provided a means of downloading the chart as a PDF, although you’ll need to do that each time we update it. This version was created December 31, 2018. For deeper dives into each streaming bundle, check out the reviews below. Because online services are often iterative, gaining new features and performance improvements over time, this roundup is subject to change in order to accurately reflect the current state of the service. Any changes to text or our final review verdict will be noted. By cutting out broadcast and sports networks, Philo provides lots of channels for not a lot of money. Can't watch on TV devices outside the house. Cloud DVR and an excellent grid guide help redeem longstanding issues with AT&T's live TV service. FuboTV’s lineup is unlike other streaming bundles—for better and for worse.